Robert is a writer and theatre director. He is currently Associate Director at the Almeida where his work includes adapting and directing Mary Stuart, Uncle Vanya, The Odyssey, The Illiad, Oresteia (also West End) and 1984 (co-created with Duncan Macmillan, also West End, National and International tours) and productions of The Fever and Mr Burns. Other work includes, The Red Barn (National Theatre); Boys; Romeo and Juliet; Decade (Headlong, where he was previously Associate Director). 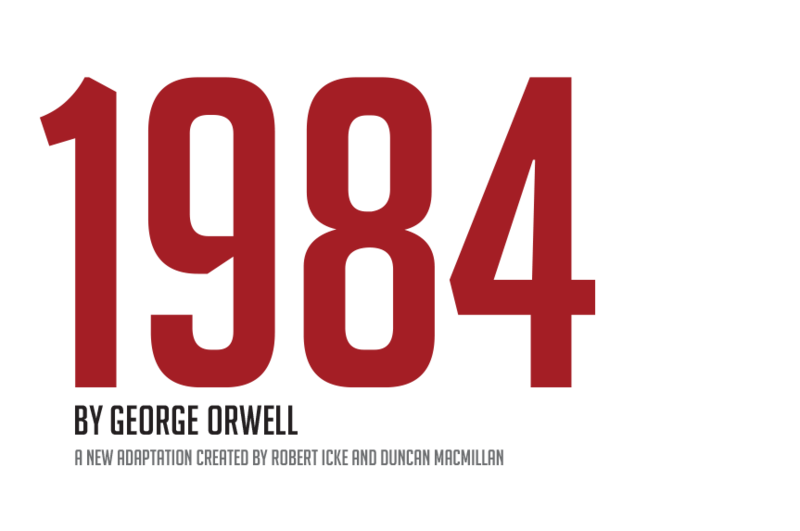 1984 won ‘Best Director’ at the UK Theatre Awards 2014, ‘Best Director’ at the Liverpool Arts Awards, and was nominated for ‘Best New Play’ at the 2014 Olivier Awards. For Oresteia, Robert won the ‘Best Director’ Critics Circle and Evening Standard Theatre Awards in 2015, and the Olivier Award for ‘Best Director’ in 2016. Plays include: People, Places and Things (2015/16 – National Theatre/Wyndham’s Theatre); 1984, adapt. George Orwell (2013-16 – Headlong/Nottingham Playhouse/Almeida/West End and international tour, co-adapted/co-directed with Rob Icke); Every Brilliant Thing (2013-17 – Paines Plough/Pentabus Theatre/Edinburgh Festival/UK, international tours/HBO); 2071, co-written with Chris Rapley (2014-15 – Royal Court Theatre/Hamburg Schauspielhaus); The Forbidden Zone (2014-16 – Salzburg Festival and Schaubühne, Berlin); Wunschloses Unglück, adapt. Peter Handke (2014 – Burgtheater Vienna); Reise Durch die Nacht, adapt. Friederike Mayröcker (2012-14 – Schauspielhaus Köln, Festival d’Avignon, Teatertreffen); Lungs (2011-16 Paines Plough and Sheffield Theatres/Studio Theatre, Washington DC) and Monster (2006 – Royal Exchange). Chloe trained in Theatre Design at Wimbledon School of Art. Awards Include: Arts Foundation Fellowship Award for Design for Performance in Set & Costume, Theatrical Management Association Award for Best Theatre Design (Small Miracle). Chloe is an Associate Designer for the Royal Court Theatre where work includes: Unreachable, Ophelia’s Zimmer, The Twits, How to Hold Your Breath, God Bless the Child, 2071, The Internet is Serious Business and Circle Mirror Transformation. DESIGNS FOR THEATRE INCLUDE: The Maids (Toneelgroep, Amsterdam); Amadeus, Rules for Living, The World of Extreme Happiness (National Theatre), 1984 (West End/Headlong/Almeida UK and International Tour), Atmen and Ophelias Zimmer (Schaubühne, Berlin), Our Ladies of Perpetual Succour (National Theatre Scotland),The Tempest (Donmar Warehouse), Het Hamilton Complex (Hetpaleis, Antwerp), Salt, Root and Roe (Donmar Warehouse), The Events (ATC and Young Vic), The History Boys (Sheffield Crucible), Disco Pigs and Sus (Young Vic), My Shrinking Life, Appointment with the Wicker Man, Knives in Hens (National Theatre Scotland), Praxis Makes Perfect, The Radicalisation of Bradley Manning (National Theatre Wales), Boys (Headlong Theatre), Cannibals and The Gate Keeper (Manchester Royal Exchange),The History Boys (Sheffield Crucible); It Felt Empty… (Clean Break), Small Miracle (Tricycle/ Mercury, Colchester). DESIGNS FOR OPERA AND DANCE INCLUDE: Pelleas et Melisande and Alcina (Aix en Provence Festival) Verkarte Nacht (Rambert), The Little Sweep and Let’s Make An Opera (Malmo Opera House, Sweden) The Magic Flute (English Touring Opera), War and Peace (Scottish Opera/ RCS). Recent Productions Include: Mary Stuart (Almeida), FRACKED! (Chichester) Oresteia, (Almeida and West End) 1984 (Almeida / Headlong / Nottingham Playhouse / West End), Meeting Bea (The Old Laundry Theatre), The Red Barn (National Theatre), Show Boat (Sheffield Crucible / New London Theatre), If You Kiss Me Kiss Me and (Young Vic), Blood Wedding (Dundee Rep / Graeae / Derby Playhouse), Stemmer (Bergen National Opera), Scale (Scottish Dance Theatre), La Musica (Young Vic) Letters Home: England in a Pink Blouse (Grid Iron / Edinburgh International Book Festival), A Christmas Carol (Royal Lyceum, Edinburgh), The Effect, Love Your Soldiers, The History Boys (Sheffield Crucible), Quiz Show, Tree of Knowledge (Traverse Theatre), Carousel (Royal Conservatoire of Scotland), White Rose (Firebrand Theatre), 8 (Glasgay Festival), Biding Time (Remix) (A Band Called Quinn / Tromolo Productions), Ghost Patrol (Scottish Opera / Music Theatre Wales), Educating Ronnie (HighTide / MacRobert Arts Centre, Stirling), Can We Talk About This? (DV8), Clockwork (Visible Fictions / Scottish Opera), Girl X; 99… 100, Peter Pan (National Theatre of Scotland), Playback (Ankur Productions), The Not-So-Fatal Death of Grandpa Fredo, Bright Black (Vox Motus), We Dance WeeGroove (Stillmotion), Treasure Island, One Giant Leap (Wee Stories), Promises Promises (Random Accomplice), Cresseid (Edinburgh International Festival), White Tea (Fire Exit), The Tailor of Inverness (Dogstar). As Video Co-designer: Ten Billion (59 Productions / Royal Court); As One (Royal Ballet). As Projection Designer: Wild Swans (Young Vic / ART). Corey McMahon is an award-winning director and producer based in Adelaide. He trained at the Flinders University Drama Centre, graduating in 2006. He subsequently completed his Master of Creative Arts in Directing, also at the Drama Centre. He is currently the Artistic Director of theatre company, Theatre Republic. For State Theatre Company SA: After Dinner by Andrew Bovell, Romeo and Juliet by William Shakespeare (co-production with Adelaide Symphony Orchestra), 1984 by George Orwell, adapted and directed by Robert Icke and Duncan MacMillan (Associate Director, Australia, NZ and Asia-pacific tours), Eh Joe by Samuel Beckett (Beckett Triptych, co-production with Adelaide Festival), Between Two Waves by Ian Meadows. For Griffin Theatre Company: Music by Jane Bodie, Rust and Bone by Caleb Lewis. For Out of Joint (UK): A View from Islington North by Caryl Churchill, Mark Ravenhill and David Hare (Associate Director). Other directing credits include: Chinese New Year Concert (Adelaide Symphony Orchestra), The Good Son by Elena Carapetis (The Other Ones), The Share by Daniel Keene, The Eisteddfod by Lally Katz, That Face by Polly Stenham (five.point.one). Awards and Nominations: Emerging Artist of the Year (2009, Adelaide Critics’ Circle), Best Drama for The Share (2010, Adelaide Theatre Guide), Best Ensemble for The Good Son (2015, Adelaide Critics’ Circle). Best Individual Achievement (nomination, 2010 Adelaide Critics’ Circle), Best Ensemble for Between Two Waves (nomination, 2014 Adelaide Critics’ Circle). Gavin’s theatrical and TV lighting design highlights include: Hot Shoe Shuffle (UK tour), Tap Dogs (London West End & worldwide tours), Kat and the Kings (UK and European tour,), Mum’s the Word (London West End), Gumboots (London West End & worldwide tours), 1984 (Australian Tour – Associate), Rumpelstiltskin (Australia), The Importance of Being Ernest (Australian Tour), Oliver (UK), Brigadoon (UK Tour), Hedda Gabler (UK) Half a Sixpence (UK), Jack and the Beanstalk (UK), Girls On Tap (UK Tour), Circus days, Circus Nights (Channel 4 TV) Back to Reality (Channel 4TV UK- Associate), The Games (Channel 4TV UK – Associate). His Music and Event design highlights include: The Darkness (UK arena tours), Diana Ross (Capitol Theatre, Sydney), Human Nature Arena Tour (Australian Tour), Mendelssohn’s Dream (ASO – Adelaide), Romeo and Juliet (ASO –Adelaide) Le Grand Cirque –Aerial Dreams (Sydney Opera House – Production Designer) Australia Day Celebrations 2007-2009, (Sydney, Darling Harbour), The Illusionists (Sydney Opera House). Gavin has worked extensively in the entertainment industry for the past 26 years as a Designer, Lighting Programmer, Technical and Production Manager. Theatre as Associate Sound Designer: Years of Sunlight (Seared Productions/Theatre503), The Children (Royal Court), Peter Pan Goes Wrong (Mischief Theatre), Blue Heart (Orange Tree Theatre), 1984 (Headlong/Nottingham Playhouse/Almeida Theatre/Sonia Friedman Productions), I Call My Brothers, Diary of a Madman, The Iphigenia Quartet (Gate Theatre), The Sugar-Coated Bullets of the Bourgeoisie (Arcola/HighTide), A High Street Odyssey (Inspector Sands), Henry IV (Outreach Project for Donmar Warehouse). Theatre as Sound Designer: Birthday Suit (Old Red Lion Theatre/Pluck Productions), Further. Still, Nailhouse (Old Red Lion Theatre), Wet Bread (Sheer Drop). Other media as Sound Designer: Zombies, Run! Season 1&2 (Six to Start, Android/iPhone app). A small room with an international reputation, the Almeida began life as a literary and scientific society – complete with library, lecture theatre and laboratory. From the beginning, the building existed to investigate the world. In 2013, Rupert Goold joined the Almeida as Artistic Director. His first production was American Psycho: a new musical thriller, which transferred to Broadway in 2016. In 2014 the Almeida productions of Ghosts and Chimerica won eight Olivier Awards and transferred to the West End and Broadway respectively. This was followed by King Charles III, which transferred to the West End at the Wyndham’s Theatre and won the Olivier Award for Best New Play in 2015, transferred to Broadway, and toured the UK and Sydney. Other notable productions as Artistic Director include The Merchant of Venice, Medea and Richard III, which in July 2016 was broadcast to cinemas around the world via Almeida Theatre Live. In summer 2015, the Almeida presented Almeida Greeks, which included three major new productions of Oresteia, Bakkhai and Medea, the latter of which was directed by Goold, with a festival of events, performances, talks and readings running alongside. The Iliad reached an audience of over 50,000 people across the world, watching online, or in person at the British Museum and the Almeida Theatre. The Odyssey followed the huge success of The Iliad, and involved an army of artists in various locations around London. Both theatrical events were live streamed throughout and achieved ground-breaking levels of online engagement. Previous productions including Hamlet with Ralph Fiennes, The Iceman Cometh with Kevin Spacey, Rufus Norris’ Festen, Ruined by Lynn Nottage; Albee’s The Goat, or Who is Sylvia? with Jonathan Price and Eddie Redmayne, Ibsen’s Lady From the Sea with Natasha Redgrave, Neil Labute’s The Shape of Things with Rachel Wiesz and Paul Rudd, have given the theatre international renown. Nottingham Playhouse is one of the UK’s leading producing theatres – creating theatre since 1948. Flanked by Anish Kapoor’s stunning Sky Mirror Nottingham Playhouse creates world-class theatre for all ages on its two stages. From classroom pieces to specially-created sensory experiences for young people with PMLD to main stage new writing and its record-breaking annual pantomime the Playhouse engages with many communities in Nottingham and further afield. It commissions both theatre and dance and tours its work nationally and internationally with recent international tours including 1984, On The Waterfront, Oedipus and The Burial at Thebes and current London West End success with its European premiere of The Kite Runner which tours in 2018. Via a combination of bold artistic leadership and championing of visionary artists, we are able to create spectacular work with the highest possible production values. We position the next generation of theatre-makers alongside artists of international standing, aiming always to create work that is bold and original. We place digital innovation at the heart of all our activities, working in partnership with digital artists to create innovative content that accompanies and enhances audiences’ engagement with our work. Our projects tour the UK and the world; many transfer to the West End, including People, Places and Things, Enron, Chimerica, Six Characters in Search of An Author, The Nether and 1984. We have won numerous Olivier awards, most recently for our co-production with the National Theatre, People, Places and Things (Best Actress, Denise Gough; Best Sound Design, Tom Gibbons) and previously for our production of Chimerica, which played at the Almeida Theatre and for a sold-out run in the West End in 2013. Previous work includes: 1984 (Playhouse Theatre), Observe the Sons of UIster Marching Towards the Somme (UK and Ireland tour), Boys Will Be Boys (Bush Theatre), People, Places and Things (NT), The Glass Menagerie (West Yorkshire Playhouse/ Liverpool Everyman & Playhouse/ UK tour), The Absence of War (Sheffield Theatres/Rose Theatre, Kingston/ UK tour), The Nether (Royal Court/ West End), Spring Awakening (West Yorkshire Playhouse/Nuffield Theatre/ UK tour), American Psycho (Almeida), The Seagull (Nuffield Theatre/Derby Theatre/UK tour), The Effect (NT), Medea (UK tour), Boys (HighTide Festival/Nuffield Theatre /Soho Theatre), Romeo and Juliet (Nuffield Theatre/Nottingham Playhouse/Hull Truck/UK tour), Decade (St Katherine Docks), Earthquakes in London (NT/UK tour) and ENRON (Chichester Festival Theatre/Royal Court/West End/UK tour/Broadway).